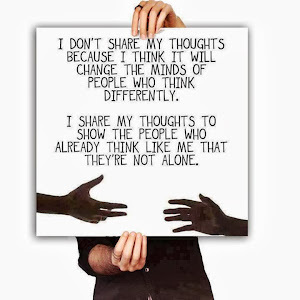 Everyone, I don't care who you are, at some point in their lives thinks about personal health and making positive change. I have been overweight for about 10 years after having a health issue that resulted in 8 surgeries in 7 years. This health crisis was one of the prime motivators for me finally making my dream of Tiny House Homestead a reality. However, during the battle I was told no significant exercise because it aggravated the condition which was causes by my body healing internally by forming adhesions. Essentially each time I had surgery, my body would create scar tissue that would bind and my kidneys and intestines. Then I would have to have surgery to try to remove them and the cycle would repeat. This was driven by hormones released by the initial condition. Anyway, this past year doctors finally won the battle and my body has made some significant changes. If you have been reading this blog for a while you know that I am facing surgery December 16 for a Cervical Spine issue as well. My Neurologist has commented that I should begin the process of trying to lose the excess weight I have been carrying. I grew up in a traditional Italian family where life centered around meals. My family are not historically athletes and counting calories is sacrilegious. I am in my mid-forties learning for the first time how to manage my weight with slow and steady weight loss. 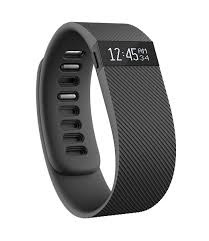 Holiday shopping for my son (who, ironically, is very athletic) the other day, I decided to get him a Fitbit HR. He had commented on how we both have difficulty sleeping and he was struggling to understand and track his insomnia so the doctor could better treat it. Examining the different models of Fitbit, I chose a Fitbit Charge HR because in addition to tracking steps and calories burned, it tracks sleep patterns, I picked one up for myself as well. I like the Fitbit Charge HR for a few of its features. First, like I said, it tracks sleep patterns. Secondly, it serves as a watch. It is also water resistant so I don't have to worry about getting it wet. It tracks heart rate, steps traveled, flights of stairs climbed, distance traveled in miles or kilometers, and heart rate. 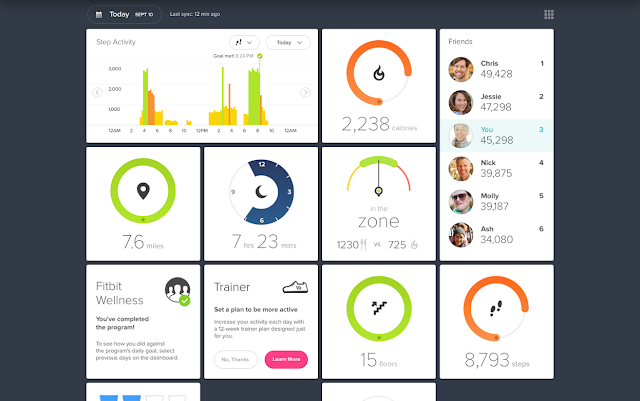 These are all well and good, but the software used with the Fitbit is what really sold me. The software program that is installed on your phone and the dashboard you log in on your computer allows you to track a large variety of things related to overall wellness. For instance, it has a section where you can log the food you ate. When first setting up your account you add your height and current weight. The Fitbit algorithm tells you an estimated number of calories you can consume in a day to maintain your current weight. Then you can select a weight loss plan based on your personal goals (easy, moderate, hard, really hard) to choose how much weight you want to lose and how fast. Then you log your food and a handy pie chart shows you how much you have eaten vs how much more you can consume. You log how much water you drink too. The program will project your end date for attaining the desired weight. The dashboard can be customized in many ways. The data it collects will also show you where the majority of your calories are coming from in Sugar, Carbs, and Protein. Boy was that a shock for me! I hadn't realized how little protein I have been consuming. It is no surprise I am overweight. After one day I was pleasantly pleased to find I was moving around more than I thought. I was even able to log foods I ate in a popular restaurant (Cracker Barrel Tossed Salad with Oil and Vinegar 210 calories). I was able to see that in just over 6 hours of sleep I woke up four times and had fourteen occasions of restlessness. I have concrete data I can work with and take to my family doctor. My son also seems to be gleaning information he finds valuable from his FitBit as well (ya, I gave it to him early). 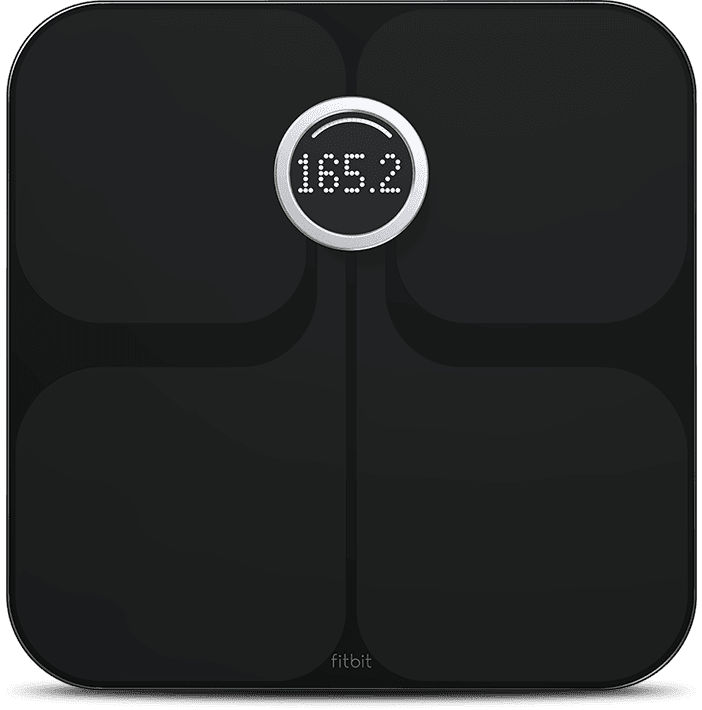 I learned today there is a bathroom scale named the Aria which ties to the FitBit as well. I haven't owned a bathroom scale in probably twenty years. At $130 I am not sure I will buy it any time soon, but I find it has some interesting features that may make it worth the investment. 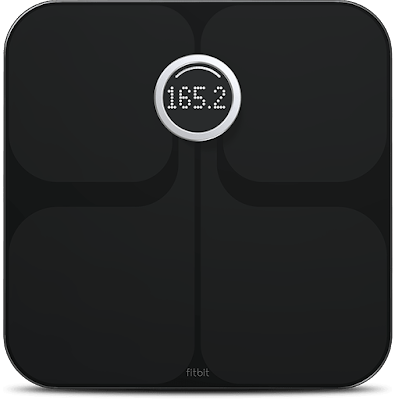 It will measure BMI, lean mass, and body fat percentage. It too syncs with the fitbit and with your computer. It could be a valuable tool in the weight loss and weight maintaining ares of your life. One of the final features I find valuable about my FitBit Charge HR is it compatibility with my iPhone 6s. The FitBit will show caller id for incoming calls. I can also set silent alarms that vibrate the FitBit so I can be reminded when I am getting close to the time I have to leave my house for work. I also have it set up with my morning alarm to help wake me up. There are many more features I like, but I wanted to just share my experience in case you are shopping for a holiday gift for family, friends, or yourself. 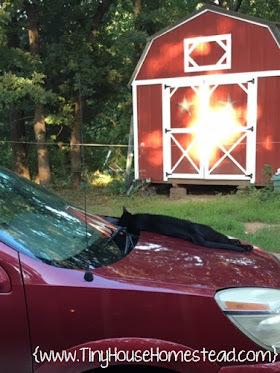 I am not being paid or rewarded for this post, I just like to share when I find something I really like. Do you have a FitBit? Have any tips or tricks to share? Please share in the comments below. PS. I am down 19 lbs!! !